BRANDON, Man. — When leaders of the Winnipeg General Strike were arrested and placed on trial for seditious conspiracy in 1919, who was really leading the prosecution? Why? Who paid the bills? And why does it still matter today? Two members of the Brandon University (BU) faculty have traced the murky legal history of this chapter, uncovering evidence that one man may have stretched the truth — and the law — to advance what technically was a private persecution of the strike’s leaders. It was a legal battle pitting state power against advocates of fundamental social change, a contest that remains important nearly 100 years later. 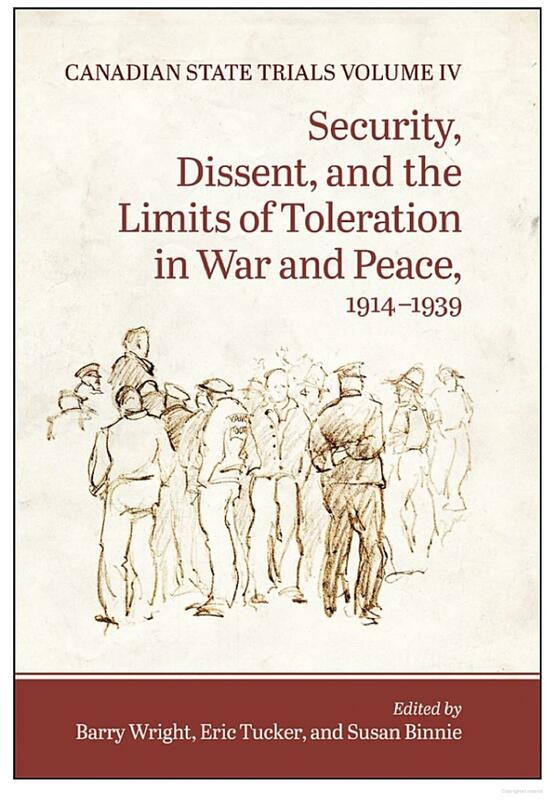 Drawing on reams of previously unconnected documents, Tom Mitchell and Reinhold Kramer follow the money to show that Ottawa secretly siphoned off nearly a quarter of a million dollars between 1919–21 to pay lawyers to prosecute the wide-ranging seditious trial. The money, the equivalent of nearly $3 million today, had been part of a Parliamentary fund set aside to pay for demobilizing soldiers from the First World War. The man behind the prosecution — three-time Winnipeg mayor and wily Conservative strategist A.J. Andrews — shrewdly jumped between provincial and federal law as his needs suited, using seditious conspiracy allegations to gather evidence in nationwide searches that asserted any socialist, anywhere, was a part of the Winnipeg General Strike conspiracy, simply by dint of sharing the same convictions. Mitchell and co-author English Professor Reinhold Kramer take what they call a “largely legal perspective” to examine the prosecution and eventual conviction of the strike’s leaders. Their new publication is called “Daniel de Leon Drew up the Diagram: Winnipeg’s Seditious-Conspiracy Trials of 1919–20,” alluding to a foreign socialist thinker with no known connection to Winnipeg, who was nonetheless presented by the business-led prosecution as part of a worldwide Bolshevik conspiracy that included the strike leaders. 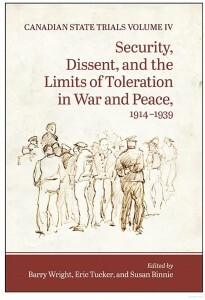 The chapter is included in the fourth volume of the prestigious “Canadian State Trials” series, which examines “Security, Dissent and the Limits of Toleration in War and Peace, 1914–1939,” and is published by the Osgoode Society for Canadian Legal History and the University of Toronto Press. Mitchell and Kramer have previously co-authored a book on the strike itself: “When the State Trembled: How A.J. Andrews and the Citizens Committee Broke the Winnipeg General Strike,” in 2010, as well as a book on a famed Brandon murder case: “Walk Towards the Gallows: The Tragedy of Hilda Blake, Hanged 1899,” in 2002.